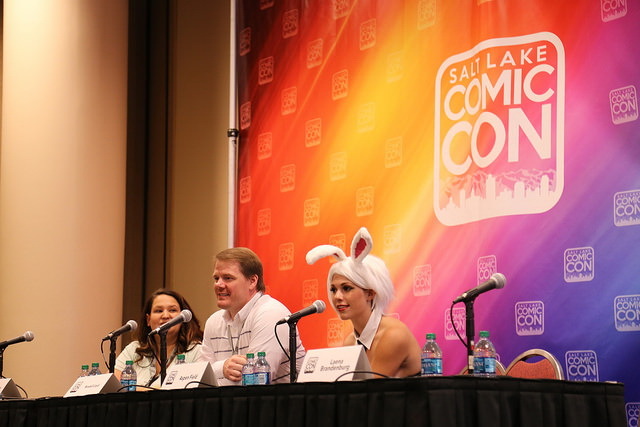 The second panel I attended at Salt Lake Comic Con 2014, right after the Cosplay 101 panel, was about cosplay photography. The panel included Randall Lloyd and Candace Tarkeshian, both experienced photographers, and Aspen Field, a local cosplayer who has recently modeled for Randall. The panel opened up for a couple questions at one point, but for the most part, it was more of a teaching panel with a slideshow and the occasional demonstration. It was good to have Aspen there to help us understand the role of the cosplayer and the level of trust that needs to exist between the photographer and the subject. Aspen and Randall spoke about their recent photo shoot and what it took to finally break through the wall to get to the shots that they were looking for. A lot of the process is about letting your subject move. Allowing them to pose and move, pose and move, make different faces, hold their body in different ways. A few times, Aspen came down to the floor to demonstrate her role as the subject and how to fill the frame with limb extensions without hiding any extremities. Candace had prepared a slideshow that showed things like the rule of thirds and how it applied to certain photos. She used a few popular movie posters to demonstrate the rule and where she agreed or disagreed with the photographer’s choices. Perhaps the most important tip from the entire panel was that it doesn’t matter what kind of camera you have. In fact, Candace showed some pictures that were quite professional, but they were taken with an iPhone 4. It is more about knowing your camera, understanding your light sources, and building that relationship of trust with your subject. 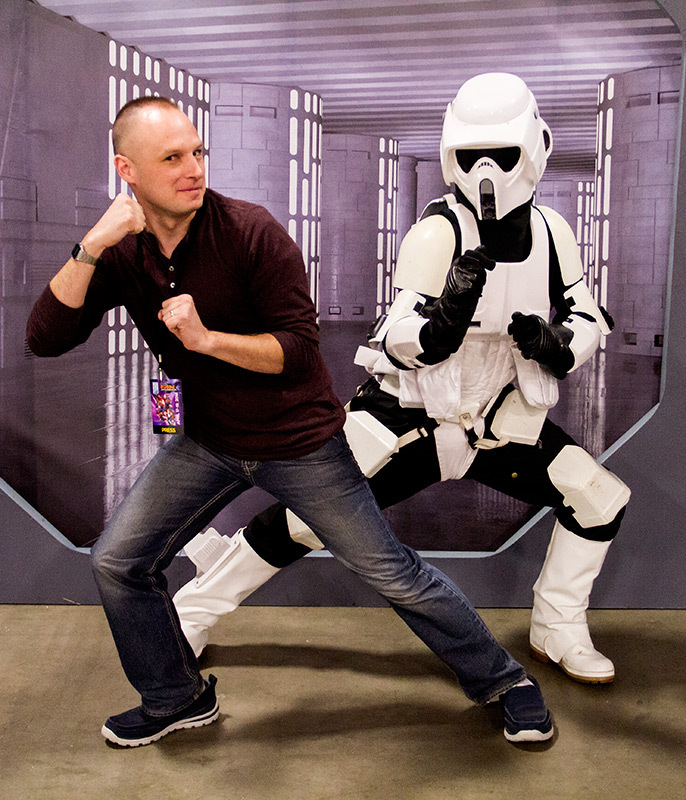 The panel was intended to appeal to everyone from cosplay photography novices to professionals. Personally, we didn’t get a ton out of this panel, but I don’t think that it was any particular fault of the panelists. There is limited time and the majority of the attendees were novices, so the panel should be (and was) catered to the them. In the future, I would recommend having two separate photography panels: one for novices that touched on the things offered in this panel, and one for professionals that really got into the nitty gritty details of framing and lighting and other topics like choosing a location. Regardless, this is a helpful topic that should continue in future Cons. Cosplay is a huge part of the culture and social media could use better photos.